Once upon a time, artists couldn’t do any work without a kit of art supplies. But the digital age—specifically the digital drawing tablet—offered artists freedom from paints and brushes. Problem is the overwhelming number of products on the market still has some reaching for the familiar pencil and paper. Or other artists just get frustrated and buy some generic tablet that’s not up what they need. 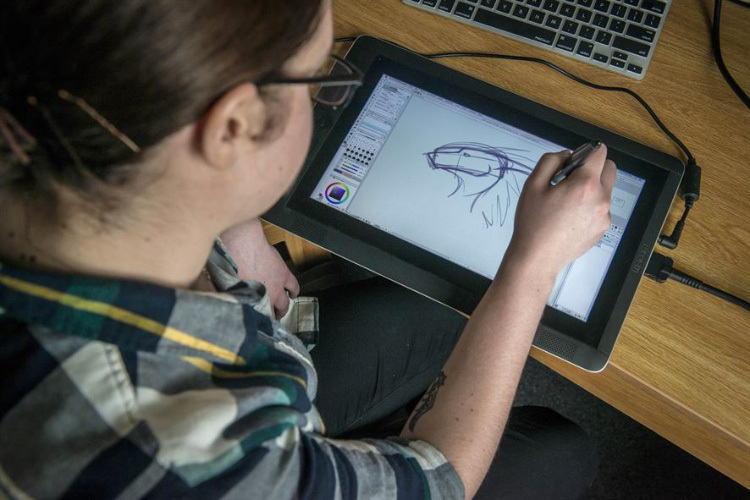 This buyer’s guide will help you learn the ins and outs of drawing tablets & what to look for so you can find the model that will take your art digital the right way. There are a lot of factors that impact the quality and functionality of a drawing tables. Drawing tablets come with anywhere from 300 to 3,000 pressure-sensitivity levels. Simply put, the harder you press on the stylus, the greater the pressure level identified and the thicker the line. The advantage of going with a greater number of pressure levels is that it enables you to make finer distinctions in the thickness of the lines, which is essential when working on high-resolution drawings. Beginners should look for a tablet that has at least 1,024 pressure levels. If you’re more advanced, your tablet should have at least 2,048 pressure levels. The active area is the portion that you draw on. A bigger active area will enable you to work on larger drawings more easily without the need for zooming and panning. Think about the type of art you plan to do and make sure you choose a product with an active area that is large enough for your goals. When checking the tablet specs make sure you don’t confuse the active area size with the total tablet size. The total size includes the surrounding area & tablet casing as well. If you do a lot of drawing on the go you may be better off with a more compact tablet that’s easier to carry around. Resolution refers to how many lines per inch (LPI) the tablet’s display has & how much it can detect from the stylus. The higher the LPI, the more detail you can add to your drawings. Larger drawing tablets typically have a greater resolution than smaller ones. But the difference between tablets of the same size is often insignificant. Responsiveness refers to the speed in which the lines that you’re drawing show up on the screen. In most cases this is instantaneous. But it all depends on the tablet’s drivers and your computer’s specs(CPU, GPU, RAM). Before you purchase a drawing tablet investigate what type of software it has and check out customer reviews. This will help to make sure you won’t run into any problems with lag. Drawing tablets come with one of three types of styluses—battery-powered, rechargeable, or electromagnetic resonance (EMR). Battery-powered styluses are usually thicker so that they can accommodate the battery, which can make them feel too large for small hands. If you go with this type it’s important to always keep extra batteries on hand in case the stylus dies unexpectedly. Rechargeable styluses need charging just like your phone or laptop. And if they die you will have to find a power source to charge before you can draw again. They are usually slimmer and fit comfortably in your hand. EMR styluses employ an innovative electromagnetic frequency that transfers power to the pen wirelessly right from the tablet, so there’s no need to charge it. This is the newest of all three styles. Regardless of which type you get you’ll be able to draw all the same. Just make sure the tablet you choose has a comfortable stylus that fits well in your hand. It should be easy to grip and hold so that it won’t slip if you’re drawing for hours on end. Most drawing tablets enable you to customize buttons on the tablet and on the stylus to perform certain actions. This can be a huge time-saver, especially when you need to frequently switch back and forth between tasks. The number of programmable buttons and what you can program them to do will vary by tablet. So if you know you want a hotkey for a specific task just make sure they have hotkeys. Most of the time you’ll be able to program them for anything you want. More experienced artists will want to look out for a tablet with advanced features like a multi-touch display. This enables you to scroll and zoom on the tablet using your fingers. Tilt sensitivity is another feature you may want to consider. Tablets with this feature have a sensor in the stylus that can tell the angle of the pen and will adjust its display accordingly, so that you can produce different types of lines just as you would with pencil and paper. If you’re going to be traveling with your drawing tablet make sure it has a battery life of at least 3-4 hours. Battery life will vary based on several factors including how you’re using the tablet, the age of the battery, and even the weather outside. Nothing perfect here but it’s good to at least have an idea of the tablet’s total expected battery life on a single charge. When you’re spending a lot of money on a drawing tablet you don’t want to take a chance that it’s going to break after a few months. This is especially true if you’ve spend hundreds of dollars on it. Most drawing tablets come with a manufacturer’s warranty right from the initial purchase. But the length will depend on the brand of the tablet. A good drawing tablet should come with a default MFG warranty of at least one year or more. One of the biggest decisions you have to make when choosing a drawing tablet is whether you want one with a built-in display, or one without. Each has their own pros and cons which we’ve outlined below. Display tablets are often easier for beginners because you don’t have to look back and forth between the tablet and a computer screen. 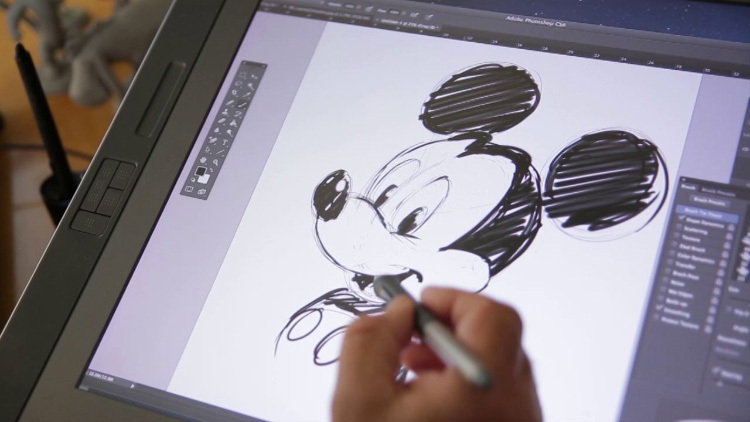 You can draw in the same intuitive way that you would with pencil and paper right on the display. But these often cost more money. Display tablets are also the way to go if you’re looking for something professional to create high quality work. These are usually top-of-the-line tablets compared to non-display models. The downside to display tablets is their price. These tablets start at a few hundred dollars and can easily exceed $1,000+ for the most advanced models. Non-display tablets, also referred to as general graphics tablets, hook up to a computer screen via a USB cable. You draw on the tablet’s surface and the lines appear on the computer screen. There is a little bit of a learning curve to this and even some experts find it challenging. These tablets are generally more compact, but not always ideal for traveling because you’d have to make sure your laptop screen is big enough to see everything. Non-display tablets are significantly cheaper than their screened counterparts. It’s possible to find a good one for under $100 so this is the way to go if your budget is tight. Or if you’re just beginning to explore digital art and you aren’t ready to make a big commitment to a tablet. Non-display tablets are also known for their durability so if you invest in a nice one it could last you many great years. There are dozens of companies selling drawing tablets, each with their own unique features and drawbacks. Wacom is considered by many to be the gold-standard of drawing tablets. While its full-featured products are primarily designed for the experienced artist, beginners may find something to their liking with the affordable Intuos line. 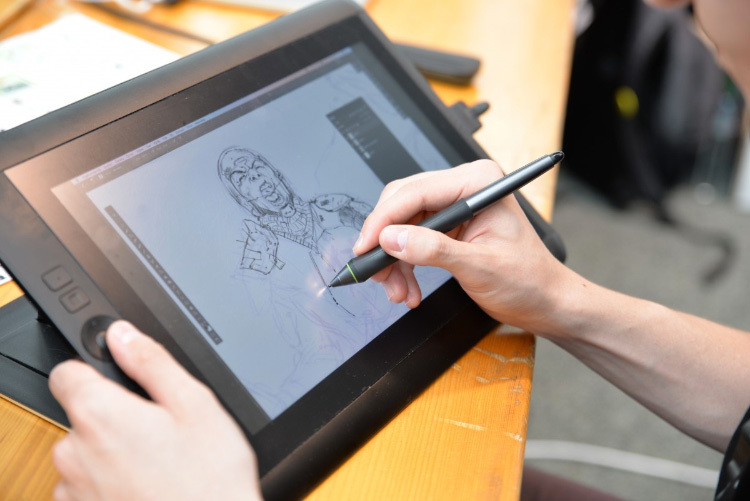 Wacom drawing tablets are known for their high resolution, stunning color, EMR styluses and powerful controls, including advanced options like multi-touch that lets you scroll and zoom with your fingers just as you would on your smartphone. It shouldn’t come as any surprise that Wacom’s tablets are also among the most expensive in the industry. This isn’t the best brand if you’re on a budget. But if you’re looking to invest in a quality tablet that will last for years then you’ll appreciate Wacom’s products. Huion is best known for its affordable graphics tablets. They’ll fit easily into any beginner’s budget, but they also have enough functionality to satisfy experienced artists. The company also has a line of higher-end drawing tablets for those who prefer a model with a built-in display. Feature-wise these are comparable to the Wacom tablets, but it’s a lot tougher to work with Huion’s hardware and drivers. Just simply not as intuitive. Huion mostly offers battery-powered styluses and tablets with at least 2,048 pressure levels, but they don’t have erasers or tilt sensitivity in the styluses which may disappoint. XP-Pen offers some nice mid-range display and non-display drawing tablets that are known for being compact and sturdy. One of the best features of most XP-Pen tablets is the six to eight programmable buttons located on the left side of the case. These help to maximize efficiency by letting you quickly run shortcuts like undo/redo, switching different tools in your painting software, or quickly creating new layers at the press of a hotkey. 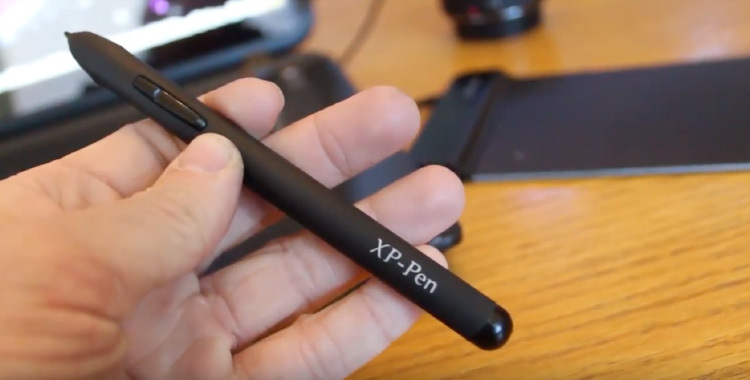 The majority of XP-Pen tablets use rechargeable styluses and some come with two rechargeable pens, so you don’t have to worry about one pen dying on you. Ugee drawing tablets are comparable to XP-Pen in terms of price with its most affordable models starting around $60. It also offers display drawing tablets for a few hundred dollars. They pack a lot of features in their compact designs including high resolution and several programmable controls on each model. These tablets also use rechargeable styluses and some of these units come with two pens included, just in case you lose one or it dies. I’d say Ugee and XP-Pen are very comparable companies and they’re both incredibly trustworthy. It’s just about finding the right tablet to suit your needs. The right drawing tablet depends on your priorities, budget, and experience level. We recommend beginners to start out with a non-display tablet as these are generally more affordable than display models. And they can still give you a feel for whether or not a drawing tablet is something you’ll stick with long term. While you want a tablet that’s powerful enough to produce high-resolution drawings, you don’t need all the bells and whistles if you’re just starting out. Look for something with a comfortable stylus, good pressure sensitivity (at least 1,024) and easy-to-use controls. More experienced artists will have a better idea of what matters most. This often includes advanced features like tilt recognition and a brilliant display, or even a larger drawing surface depending on how much space you’ve got on your desk. Once you’ve gotten more comfortable with digital drawing it might be a good idea to upgrade to a built-in display tablet. If you do a lot of traveling you may actually want to start with one of these instead. XP-Pen and Ugee both have great display tablets for portability. Bottom line there is no one right option for everyone. If you’re still not sure which one is the best for you then start by exploring the brands listed above and check out some reviews online. Think about how you plan to use your drawing tablet and make sure that the model you choose will be able to keep up. Kailey has been writing product reviews since 2013. 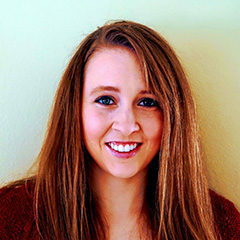 She enjoys simplifying the shopping experience and helping consumers connect to the products and resources that best fit their needs. You can get in touch with her or learn more about her work on her LinkedIn page. What Does LPI Resolution Mean For A Graphics Tablet? What Is Report Rate Speed(RPS) For A Tablet?